This simple vegetarian quesadilla is a tasty option for a fast weekday supper meal. 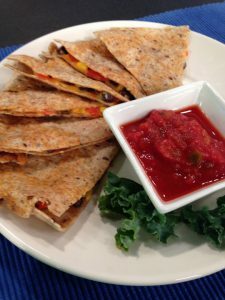 Loaded with good nutrition and plenty of fibre, black bean quesadillas are a favorite “Meatless Monday” supper and work great as leftovers for your lunch. 1. Sprinkle half of the grated cheese on two of the whole grain flour tortillas and place on a greased baking sheet or frying pan. 2. Chop green onions and red peppers and sprinkle on top the tortillas. 3. Steam frozen corn and sprinkle on top the tortillas. 4. Drain and rinse black beans and sprinkle on top the tortillas. 5. Add a pinch of cumin and chili powder for flavor (optional). 6. Top with remaining grated cheese and place the remaining tortillas on top. 7. 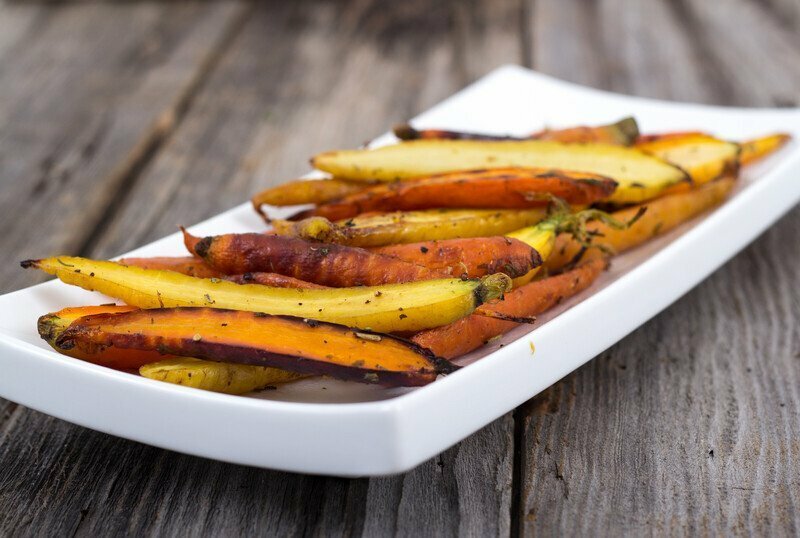 Bake in the oven or pan fry until slightly browned and cheese is melted. 8. Serve with salsa (you can also serve with guacamole or sour cream for dipping).